Buy 6 items for $10 Regularly $30.63 Save 67%! This bundle ended 2018-05-17 18:00:00. 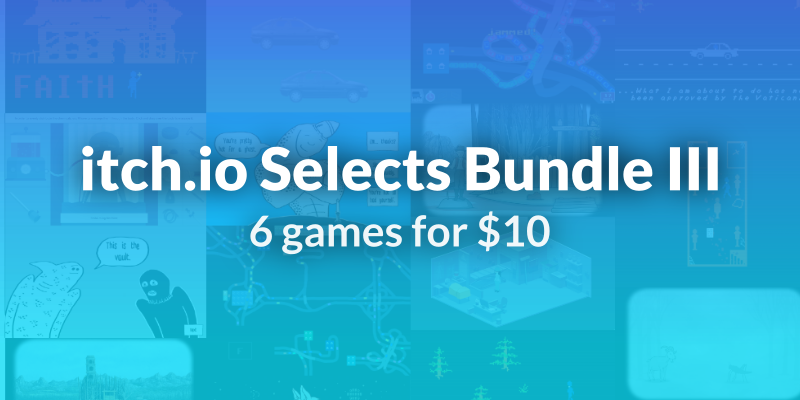 Get a bundle of some of our favorite games on itch.io for a low price. Supporting indie developers has never been easier! Laundry Bear’s tale of death-positivity is a beautiful look at one of the few things we all share. Learn what it takes to run a mortuary and take a peek at what happens when our stories end. We’ve written about how much we love this game before, but if you’ve never seen Mortician’s Tale, know that it’s a unique, moving experience that explores a side of death we rarely see not only in games, but any art form. Get your city planning muscles warmed up because they’re going to get used a lot in Freeways. Take on a series of increasingly ridiculous transit challenges by drawing increasingly goofy roads. Freeways is the latest deceptively brilliant game from Captain Games, the folks who brought you Desert Golfing and Enviro-Bear 2000. There aren’t many developers who are as consistently and wild and fun as Captain Games and Freeways is as good as it gets. Fans of the blog will know recognize Genderwrecked as the game we said was “stuffed to the seams with heart and charm” and as one of the most interesting meditations on gender around. Fall in love with a world that allows you to hang out with a robot dad and make fun of a tree. Genderwrecked is a game that shows off how great games can be when they’re made by artists being authentic to themselves. The Rusty Lake series has returned with its largest entry yet. Rusty Lake Paradise takes our favorite escape room franchise and opens it up to an entire island suffering under the biblical plagues. Guide a family through this hardship and learn about the Rusty Lake universe along the way. If you’re interested in escape games, atmosphere, or beautiful art, Rusty Lake Paradise is going to be right up your alley. Let’s get spooky with the last game in our bundle: Speed Dating for Ghosts. Just because you’re dead doesn’t mean you don’t deserve a little romance. Dive into the backstories of the recently deceased and fall in love along the way. Speed Dating for Ghosts is a fun and heartwarming look at love and death from a former Bioware employee and an indie rapper. Check it out now.